Amp up the intensity of your next workout with some inclines! 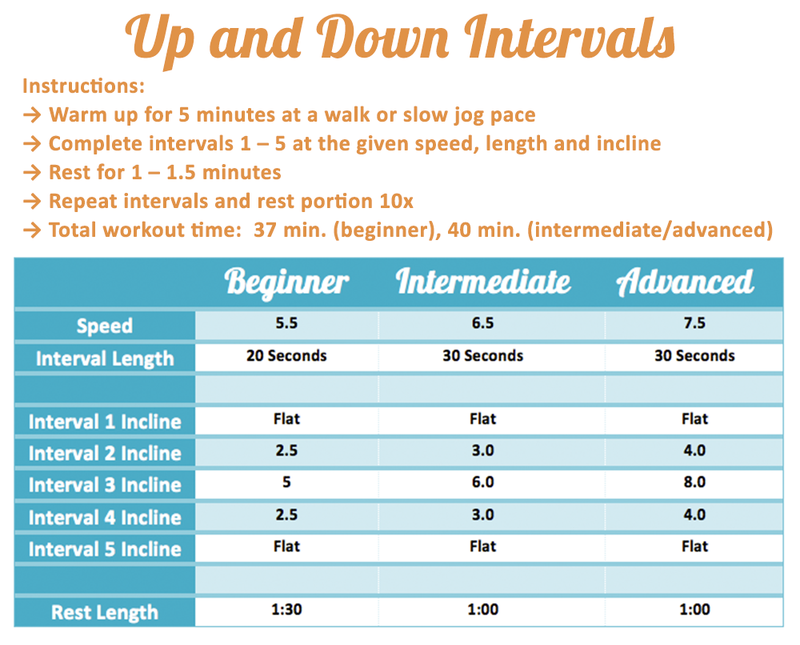 This “Up and Down Intervals” treadmill workout will have your legs burning and heart pumping with perfectly placed inclines and intervals. Checkout the workout – and some suggested RockMyRun mix pairings – below to get started! Workout contributed by Brock Jones. Brock is Co-Owner and Head Trainer with BodyFIT, Inc. in Lexington, KY. He holds a Masters of Science in Exercise Physiology from the University of Kentucky and is an NSCA Certified Strength and Conditioning Specialist. You can read more of Brock’s posts about fitness and exercise on the BodyFIT Punch Blog.